If you would like to check out our 12 Days of Christmas promos, you can follow us on Instagram or Facebook daily. Remember you have 24 hours to purchase. 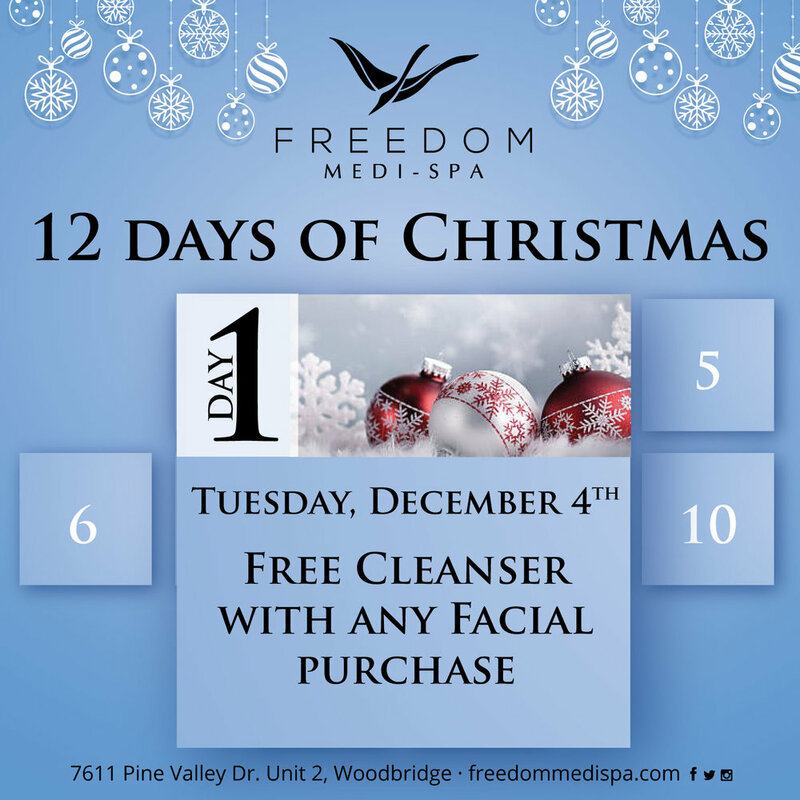 So leave us a voicemail 647-799-0400 or email – reception@freedommedispa.com and we will get back to you. Purchases do not expire and may be used towards a gift certificate. Enjoy!